Last week Comtrade invited me to a demo on their latest management pack product for monitoring Nutanix. Comtrade is / was known for their outstanding Citrix management packs. These management packs cover, the entire monitoring experience from end-to-end and I mean in a real end-to-end experience. At the beginning of this year Citrix bought all the Citrix management packs from Comtrade and offer them now as part of their Platinum license, get more information about this deal here. As I said Comtrade, is currently working on their first beta release for monitoring Nutanix. As we are used to get high-quality management packs from Comtrade, so I was very interested in seeing what they come up with for their beta release. The first thing I wanted to know what is the architecture of the management pack. In SCOM we create a dedicated resource pool and add either gateway servers or management servers into this resource pool. On any of these members (gateway and/ or management servers) you need to install a piece of software called Nutanix data collector, which runs as a Windows Service in the background. This data collector will talk to the Nutanix cluster using the Nutanix REST API for gathering all monitoring data (pull requests). The port which is used is Nutanix Prism port 9440 by default. If the port is changed, then an override can be used to instruct the MP to send requests to a non-default port. 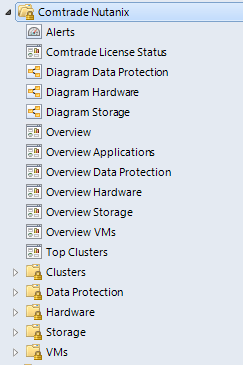 The data collector will also do data aggregation and preparation consumed by the SCOM management pack. Additionally it is used to discover applications on VMs using WinRM or SSH protocols on Nutanix clusters. 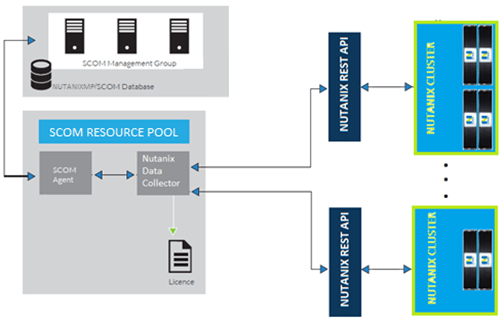 Talking about permission requirements, the management pack requires a basic (read only) Nutanix Prism account to access the Nutanix REST interface for monitoring the Nutanix environment. For the Application Awareness functionality (which we will explain a bit later) the requirements are an account with local admin rights on desired VMs for a connection to be established. Additionally for discovering Citrix Applications another account with Citrix Administrator rights and permissions to establish a remote management connection is needed. Certificate expiration, clock skew, drive configuration, etc. 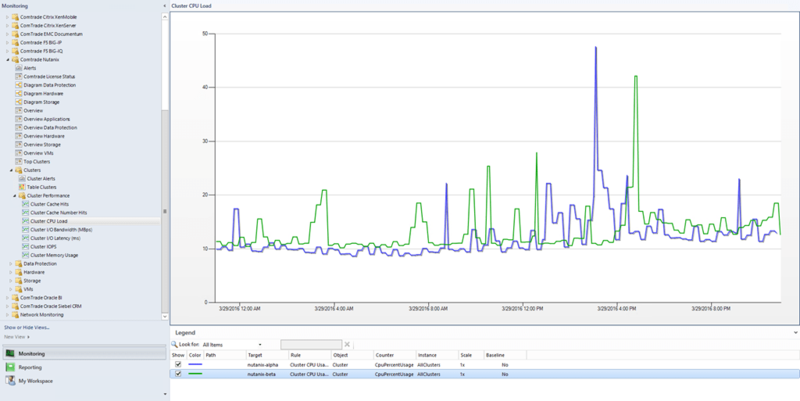 The Comtrade.Nutanix.Base MP contains 69 performance collection rules, 202 unit monitors and 50 dependency monitors…. 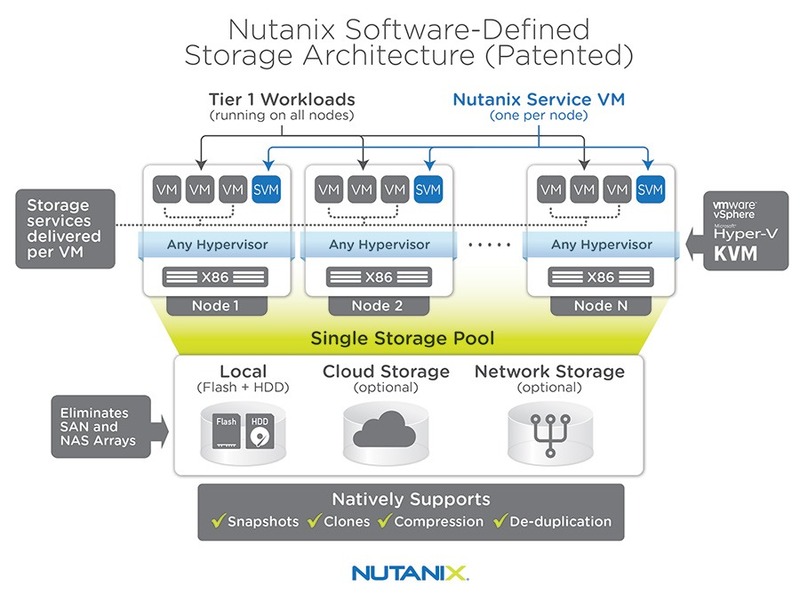 Another question you might ask yourself, why should I buy a management pack, if Nutanix will offer one for free. Well, yes good question, as always it depends. 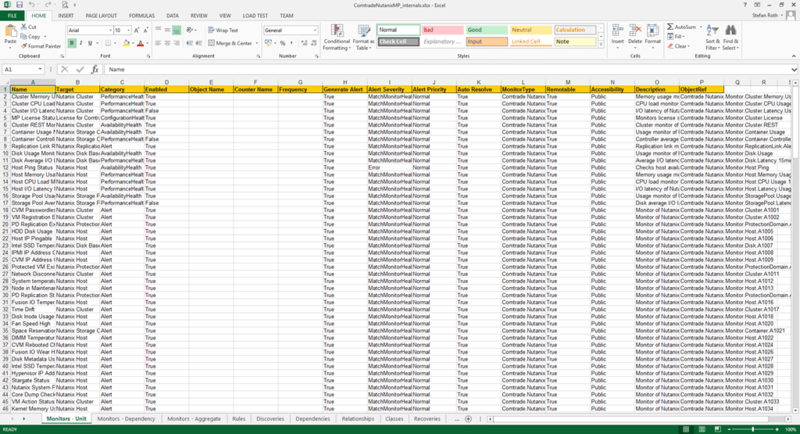 I have not dissected the free Nutanix MP but if you just have a brief look at this blog post here you will see the amount of stuff monitored is far less than what Comtrade offers in its beta version. In fact, the free Nutanix MP only delivers 24 monitors and 7 rules, where Comtrade MP for Nutanix delivers 252 monitors and 69 rules. To compare both solution in all aspects, Comtrade will provide a comparison sheet, which I will publish as soon it is available. This MP offers in its beta version already a large amount of visualization, rules and monitors. What definitely is missing are the nifty reports which provide you with the “wow!” information, like the ones we are used in the Citrix MP’s. In addition some stunning dashboards are also missing so far. In my opinion Comtrades is building a solid foundation of a management pack and I know they will ship all this nifty visualization in upcoming releases. 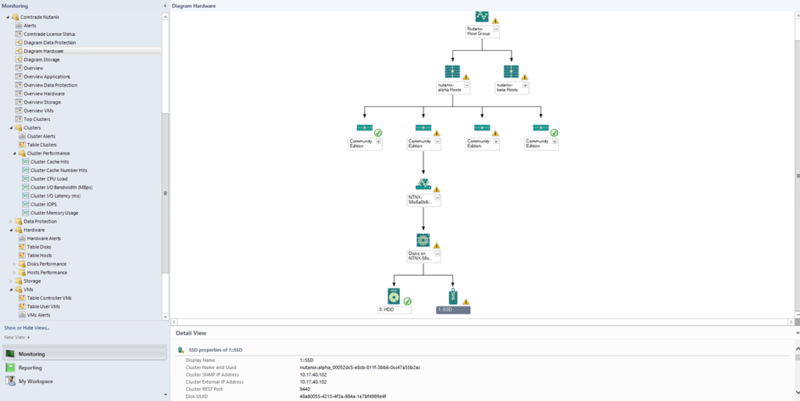 Application Awareness seems to be a promising technique, which opens new capabilities for identifying workload dynamically across Nutanix clusters and correlate this data with other management packs and dashboards. If you are interested in the beta program of this MP you can sign up here it will start on March 31 2016.